Are you looking to get ongoing website changes and updates to your website that is Affordable, Fast, Reliable Turnaround and a no hassle updating request? If the answer is yes, you are at the right place. 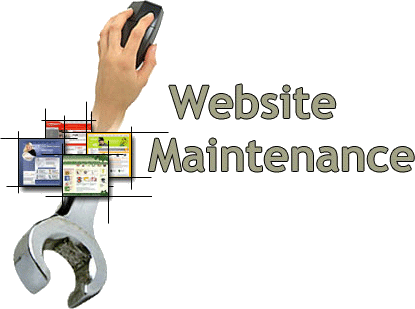 Maintaining changes on your website. Add features to your website as needed. You will submit your update request by email either as an attachment (MS Word, PDF or Text File) or written within the message. You will also attach any images related to your update. Once we receive your request, you will receive a conformation. After the update is complete, you will be notified by email and/or by phone. The Typical turnaround time for a change request would be two working day. In the event that the turnaround will exceed the two working days, you will be notified immediately. Up to 2 hours of maintenance work every month. Please note that the subscription hours expire at the end of the month. The subscription covers all web related work. Minimum 30 minutes charged for every update submitted. Please note that you can add several tasks to the update request. Typical two work day turnaround time, maximum three days. We contact you if the changes cannot be done within two working days. Please note that; weekends and holidays are not working days. *Cancel at anytime and our team will complete the number of work hours that we owe you for the current month, then your account will be cancelled and you will not be further monthly. Still undecided, contact us for more information and details!